As we're late to the game for Breaking Bad, we're enjoying exploring this story via Netflix and it's quite the ride. While we're not exactly new to such serialized storytelling, the fact that it was still pretty much created during the more episodic broadcast era makes it clear why it stood out so much when it came out. This doesn't even touch on how great the story is. I didn't expect to get into a series focused on a high school chemistry dealer who becomes a drug "cook" but here we are. And the way they've crafted the series with all of its nuances and complexities does make for pretty powerful storytelling indeed. The serialized story is not a new concept and we've seen it come and go over the years. But I guess the binge-watching behavior supported by services like Netflix have helped make shows like this even more powerful since it's pretty intense to watch the show in quicker succession instead of a weekly basis. 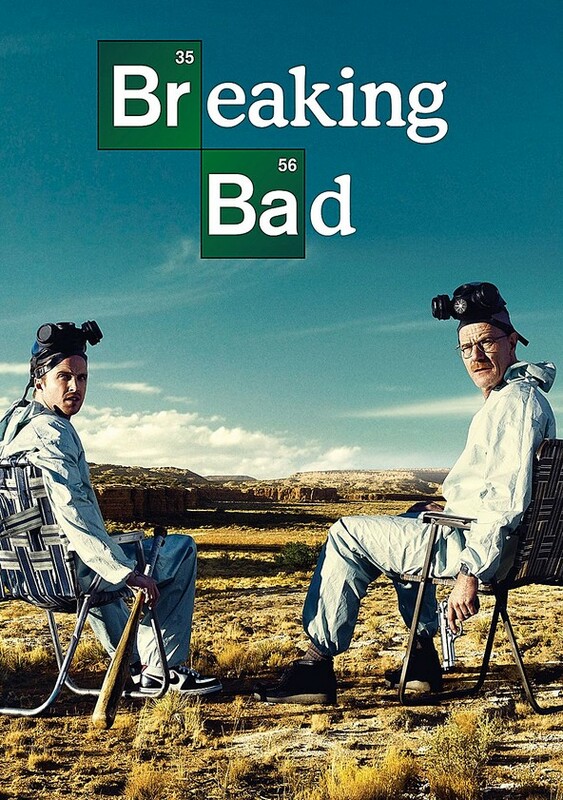 Synopsis: Breaking Bad is a drama TV series created and produced by Vince Gilligan for AMC. The show has won many awards over the years and is known as one of the greatest television shows of all time. This second season begins with the tense stand-off with Tuco (Raymond Cruz) and Walt / Heisenberg (Bryan Cranston) together with Jessie (Aaron Paul). In the end Tuco kidnaps them and stows them away in a shack in the desert together with his aging uncle (Mark Margolis), who is a former drug lord in his own right. At the same time, Walt's brother-in-law Hank (Dean Norries) has the DEA all over Tuco's organization as they try to crack down on their operation. Meanwhile Walt's wife Skyler (Anna Gunn) is pregnant and wondering where Walt has disappeared to. She remains in the dark about Walt's drug operation and how he's paying for his cancer treatments. And all that is hardly a priority with Walt missing. And while he eventually escapes his captors to make his way back, there's still the other challenge of figuring out how to explain his disappearance. What I Liked: I think I mentioned before how much I've come to enjoy how the story seems to play out like a game of Fiasco with twist after disastrous twist. You're already stuck in a weird place with being undecided about whether or not you really want to root for these two as they are in fact involved in illegal drugs. But the whole story remains so compelling that you end up cheering at both their successes and their failures. This season also had Jesse trying to learn to step up and be more than Walt's flunkie and Walt in turn tapping into his slow burning rage deep inside to come to some pretty cold decisions. At first he was just a desperate man trying to do right by his family. But as we see in this season, hes also descending into a dark place that he feels he needs to be in order to be the meth cook Heisenberg. What Could Have Been Better: There are some asides and parallel story tracks that don't resonate quite as well for me. Skyler isn't the best of characters in this season although Anna Gunn does her best with what she has to work with. The same goes for Walt Jr., his son, who is a bit of a non-etity in most of the show. And so there are a lot of uncomfortable situations where the show painfully becomes about Sykle or her DEA brother Hank in sub-plots that can get a little long-winded or rather boring at times. You end up wanting to go back to the action with Walt and such, but I understand the direction of things. TL;DR: Breaking Bad is quite the phenomenal story and this second season continues to take things forward as Walt explores this darker path for himself. It's a story with inherent tragedy and yet it all works out still, and that's the magic of it. So this second season gets 5 moments when Saul comes to save the day out of possible 5.